The Men and Women of the Galloway Township Police Department have been the caretakers of our community for over 117 years. The department started back in 1897 with 5 officers, peaked with about 74 officers in 2008 and remains at 50 today. The officers of this community have handled between 35-39,000 calls for service per year over the past three years with hundreds of arrests, which continue to increase. As with other communities, our resources for funding and staffing levels have all had to adjust to the changing economy but our officers still remain dedicated and vigilant. As National police Week winds down, I would like to acknowledge and recognize ALL Police Officers, especially the Officers of Galloway Township. I thank them for their hard work and dedication. I would also like to pay tribute as I reflect upon the memories of those who have served before us, both here and throughout the nation; especially those who have paid the ultimate sacrifice. Finally, I would like to thank those that are behind the scenes that ultimately support our Officers on the street; Police Communications, Police Clerks and Secretaries, Police IT personnel, and Police technicians. Without those that are behind the scenes, the daunting task of policing would be extra hard and near to impossible. Why do you think that there are more absentee property owners in Galloway than ten years ago? I'll bet that it is because they found living where they were as unsafe and decided to move and to rent in order to recapture their investment. Every property in Galloway is upside-down partly because of the lack of public safety. The police need better equipment and more manpower to fight for the residents. The Galloway Police can only do so much. AND REMEMBER, THAT BESIDES BEING THERE TO PROTECT OUR SAFETY, THEY ARE PUTTING THEIR OWN LIVES ON THE LINE TO KEEP GALLOWAY AS SAFE AS THEY HUMANLY CAN! These police offices have mothers, fathers, siblings, spouses, children and other loved ones. How much can they take before they transfer to a better-equipped, better-staffed police department? Being under-equipped and understaffed also puts their lives unnecessarily at risk. 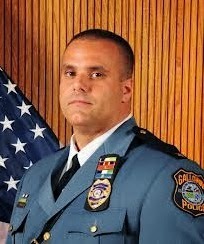 How many qualified officers decline the opportunity to be employed by Galloway because THEIR safety is compromised by the lack of adequate equipment and a low number of fellow officers? Township services are a luxury right now. Safety is paramount. Would you rather have leaf-free streets or would you prefer blood-free streets? Services will return when the township is able to collect the taxes that they earn from property values increasing. Do you really think that a new business will open in Galloway with its police force so understaffed? It is time to spend money with public safety for our last chance to restore property values in Galloway. These men and women are dedicated - that's the only reason that I can come up with that explains why they still stay here to defend our children, us and our property values. Instead of copying and pasting several old remarks into one comment, why dont you try to make a more logical argument? From what I know and see, many people don't want to live or move into Galloway Township because the police department does not try whatsoever. This is known by residents all the way up to Monmouth County. I recall there being large amounts of crime when they had an all time high of 74 officers ten years ago. The police department's excuse was that they needed more officers. We could have 100+ officers in this town and it still won't be enough for the GTPD. Come over to my development and ask my neighbors what they think. Oh, and don't try to pull the excuse that we need to express our concerns to the GTPD's leadership. We already have and were ignored on numerous occasions. I disagree. I own a small company. If I decrease my employees by 30 percent, then orders increase by 25% orders will go unfilled or be delayed several months. It's simple math. Pressure should be put on politicians to make safety number one. That's were my $9,300 in taxes should go not 60 percent to the schools.